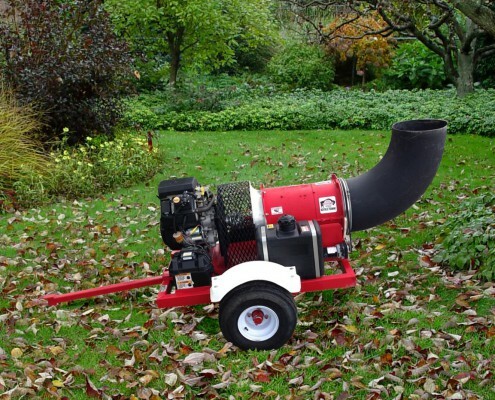 Buffalo Turbine (BT) is a globally-recognized designer and manufacturer of high performance debris blowers for a variety of markets from landscaping and agriculture to municipal and public event cleanup. 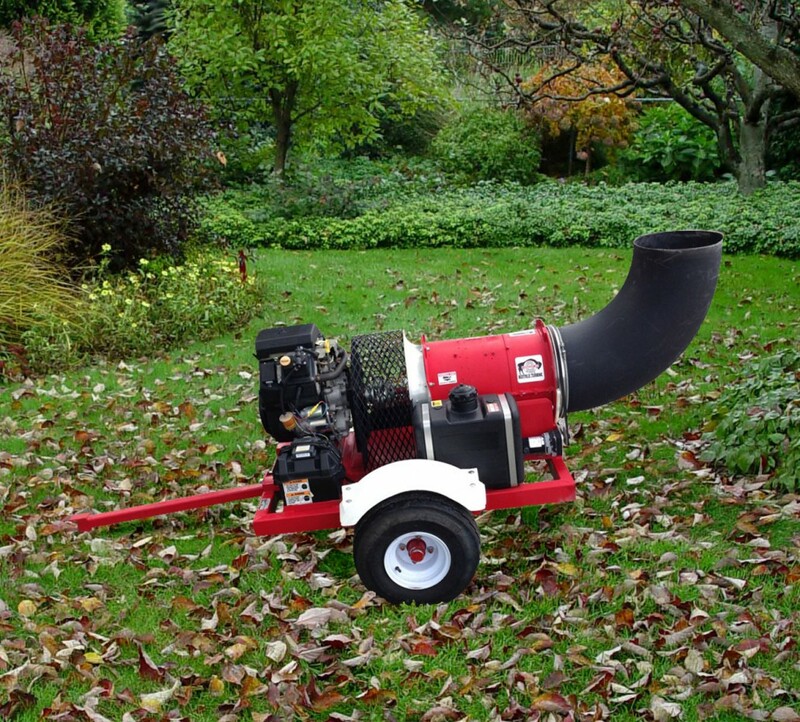 Among their many products is the Cyclone series of large, powerful debris blowers. 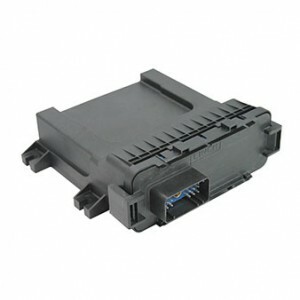 Their challenge was to add wireless radio frequency (RF) control for a new version of this product line. 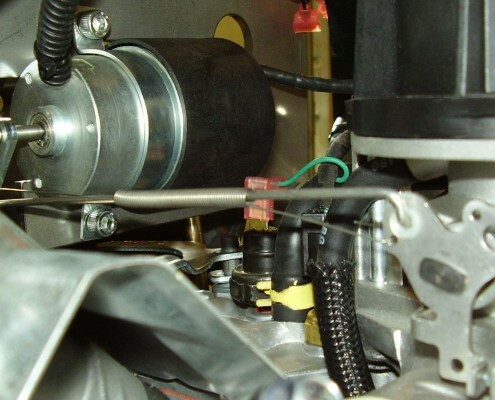 Their goal was to control the engine – startup/shutdown and speed – as well as the nozzle direction, allowing the operator to control the machine in all modes from a towing vehicle without the need for a wired connection. 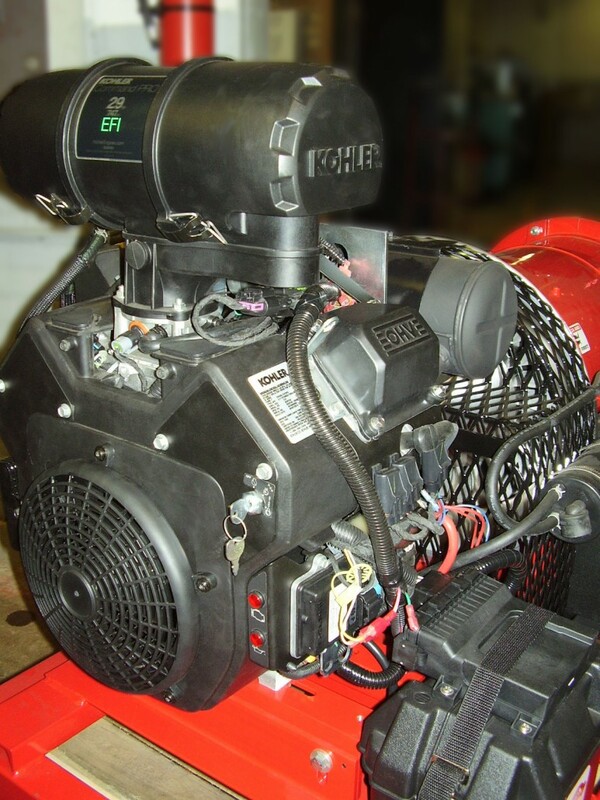 There were numerous hurdles to address, not the least of which was to “overlay” engine commands to a Tier IV certified, Electronically Fuel-Injected (EFI) Kohler engine. Of course, the wireless must be sufficiently powerful to insure positive control even if the operator were to step away from the vehicle cab, as well as be secure and meet all RF emissions and interference requirements. Also, the brush DC nozzle drive motor required a drive circuit, and all of the receiver, engine control, and motor drive functions needed to fit in a compact, integrated package. Finally, a complex wire harness was needed to provide physical connections to all control features mounted on the blower. 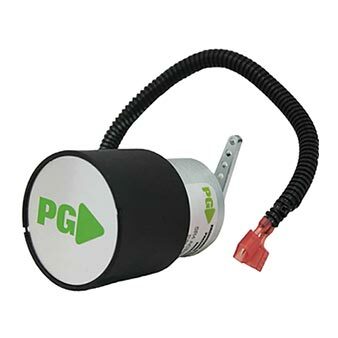 In answer to BT’s need’s, PG created a complete wirelessly-controlled subsystem, with the PECoS RCR1 Digital Controller and RCR Remote Transmitter developed for these types of wirelessly controlled applications. 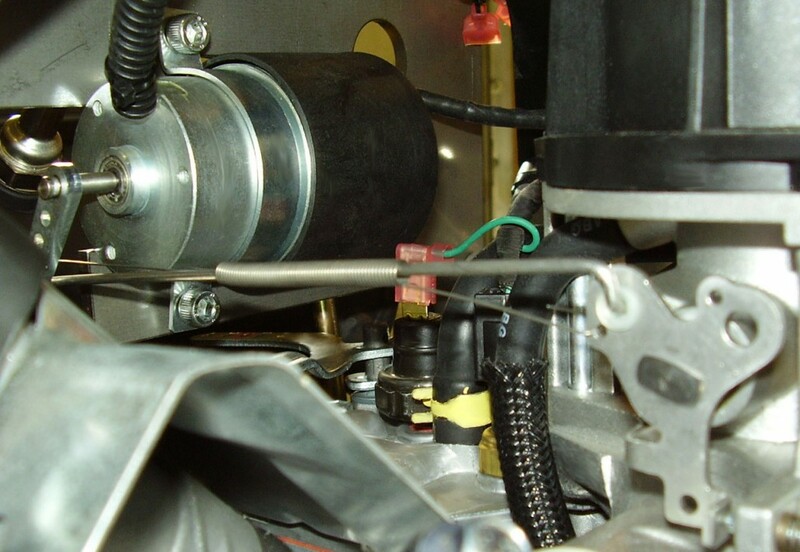 The SR-4 actuator provides the electro-mechanical connection to control engine speed. Buffalo Turbine’s Cyclone KB-4 Debris Blower has now taken a lead position in the industry with robust and capable wireless control capability. Would your application benefit from compact, rugged, wireless control capability? 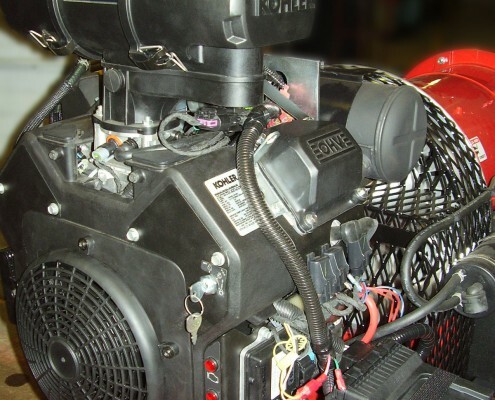 Do you need a customized engine control solution for a Tier IV engine while maintaining the standard EFI controls architecture? Contact us to learn more. There’s no more critical or demanding job for a generator set than supporting a forward-deployed combat team. PG Controls supports that mission with governor actuators for small (5kW, 10kW and 15kW) models of the latest military generator equipment.